Kothamalli thokku/Coriander thokku is a tasty and healthy thokku that goes well with Idli, dosa, chapathi and curd rice. 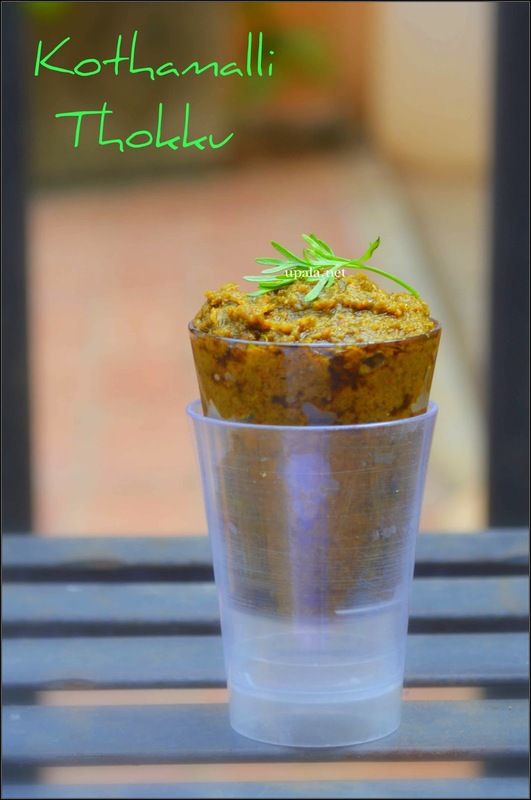 This thokku can be stored in an airtight container and comes more than 2 weeks when refrigerated. 1) Wash and clean the coriander leaves and leave it to dry. After it dries, chop it using kitchen scissors. 2) Heat 1 tsp oil in a kadai and add Asafoetida to roast, then add Urad dal and Red chillies fry them till golden brown. 3) After it cools down, add to mixer along with Jaggery, Salt and Tamarind. Grind them to coarse mixture. 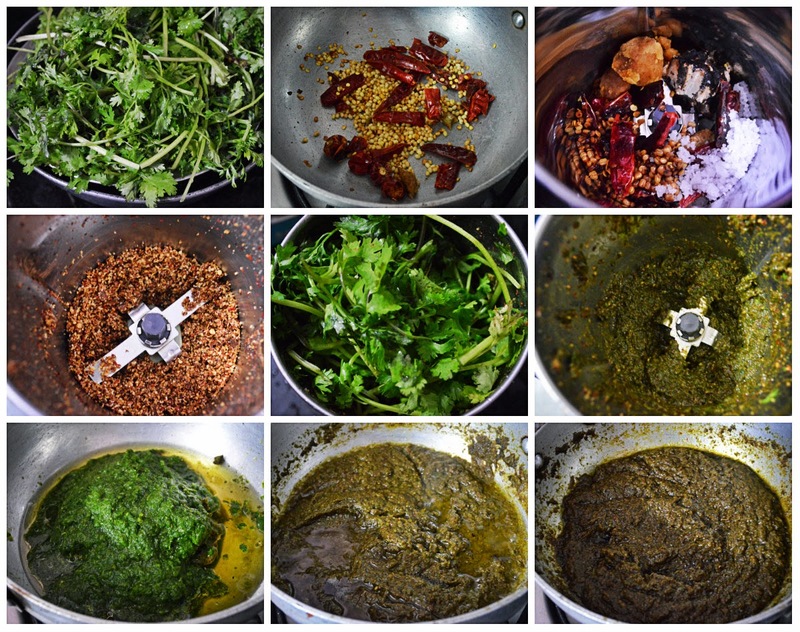 4) Add the coriander leaves in batches and grind to fine paste. 5) Heat rest of the oil in a kadai and add the ground paste. Leave it to cook in medium flame till nice aroma arises and leaves oil on sides. 6) At this stage start stirring continuously in medium flame till you get the thokku consistency. Thokku leaves the sides of the kadai (like Halwa) as shown in pic.